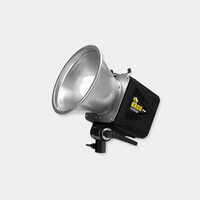 A studio flash unit with an all digital 9 f/stop Power Variability (2.5WS to 640WS). 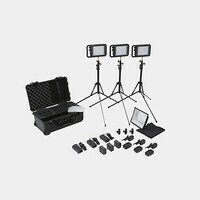 This light outputs 28,000 lumensecond at full power. Recycle time is 1.7 seconds to full 640WS at 120VAC, 60Hz or at 240VAC, 50Hz.. Cycle time proportionally decreases as power setting is reduced. This unit can tolerate power line voltages as low as 35VAC (from Vagabond or similar pure sine inverters). 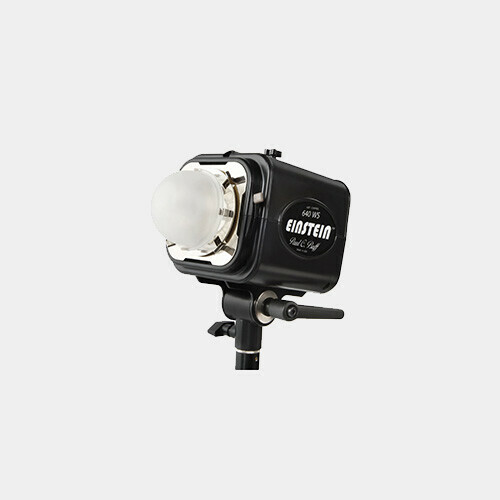 This light can be triggerd through a standard 1/8" Sync Jack, an Optional CSXCV or PocketWizard Module or Optical Slave Eye. Size: 7" height x 5.4" width x 7.8" length. Weight: 4 pounds, 5 ounces.